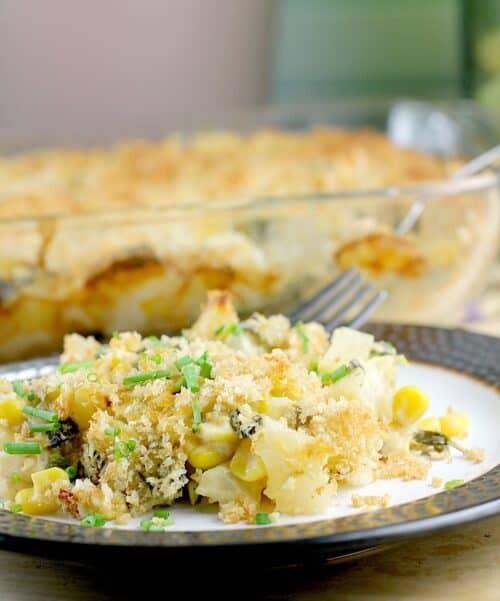 With sweet corn, flavorful oven-roasted poblano peppers, and delicious chipotle flavor, this creamy Chipotle Corn, Poblano, and Potato Gratin will have you so satisfied you will not even miss the dairy. 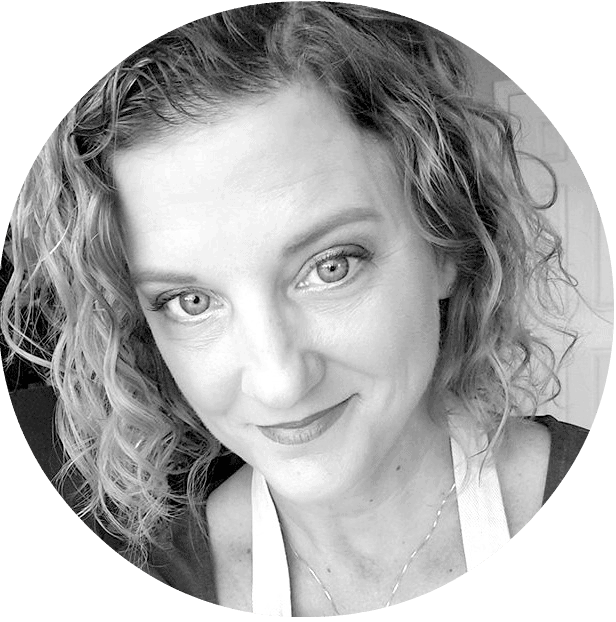 This is my next success at making old favorite recipes anew, using only plant-based ingredients. Sooooo, in another month or so, I will hit the 1 year mark since I became vegetarian, and if you recall, I actually went full-on vegan last year for 8 months while training for my Ironman. And while since then I have allowed limited cheese and some dairy back into my life. And eggs. And the occasional bivalve (did you know farming mussels and oysters actually helps the environment? Google it! 👍), I still try to limit them all and stick to plant-based eating more often than not. Anyhoots, now comfy and happy in my often-vegan, mostly-vegetarian lifestyle, I have remade several old, previously dairy-laden favorites as dairy-free and vegan, upgrades. Like my Vegan Seafood Casserole, Creamy Poblano Macaroni Bake, and Boursin-Copycat Cashew Cheese to name a couple. These recipes save me. I love them, they make me happy, and check all the comfort food boxes just as same as the original recipes. And now I can add scalloped potatoes/gratin/creamy taters to the list of dishes I can enjoy. 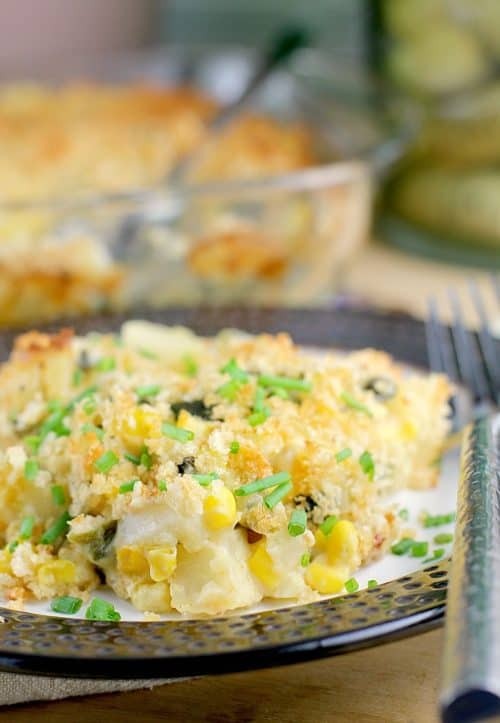 Chipotle Corn, Poblano, and Potato Gratin, dairy-free! So I tried a new product for this recipe, 2g Sugar Protein & Nutmilk Almond Cashewmilk & Pea Protein (long name, I know). Being kinda vegetarian and a triathlete, getting protein is always a consideration so when I spotted this Silk nutmilk blend with added protein at Walmart, I had to try it. I also snagged the Vanilla one while I was at it to use in smoothies. While I was cooking, I gave the milk a sip of course, and it is good. Like, kinda surprisingly good – I don’t like plain almond milk, and I always have to do something to it. But yayyy, this Silk nutmilk is creamy and totally ready for a recipe like this or just to pour over cereal. No artificial anything, no saturated fat, and totally plant-based with 10 grams protein 👏👏👏, all from peas. Now, I have tried making something like this gratin a couple times and there was always something missing. I think the problem is that I do not like straight up “bechamel” white sauce made using only almond milk. Raw cashews have been my go-to to solve this problem often, and I had some already soaked and on the ready this time too thinking the sauce may need thickener. But NOPE! Silk Nutmilk thickened up unlike any vegan bechamel I have made yet. Truly, awesomely, this stuff behaved like cow cream. 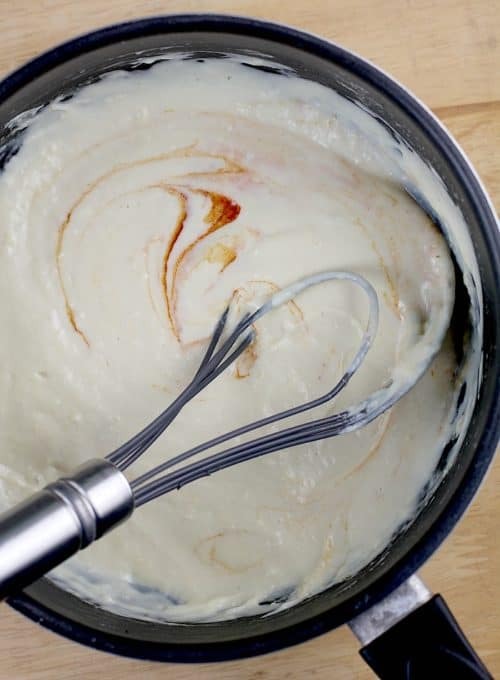 It made a CREAMY, delicious sauce, without me having to pull any tricks. 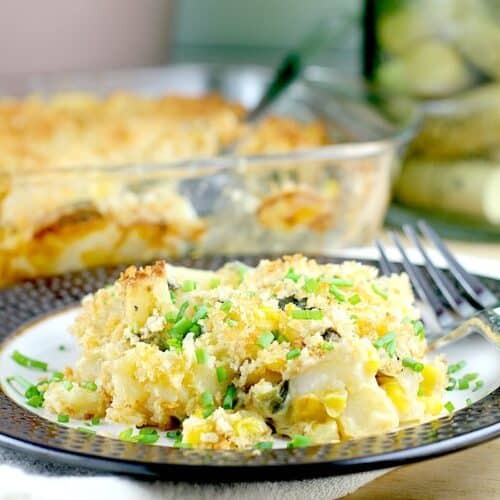 With sweet corn, flavorful oven-roasted poblano peppers, and delicious chipotle flavor, this creamy Chipotle Corn, Poblano, and Potato Gratin will have you so satisfied you will not even miss the dairy. Heat oven broiler to high heat. Roast the poblano peppers for 20 minutes or until skin is completely charred, turning a quarter turn every 5 minutes. Transfer to a large ziploc bag, and let peppers steam 5 minutes. Remove skins and seeds and dice the peppers, 1/2-inch dice. 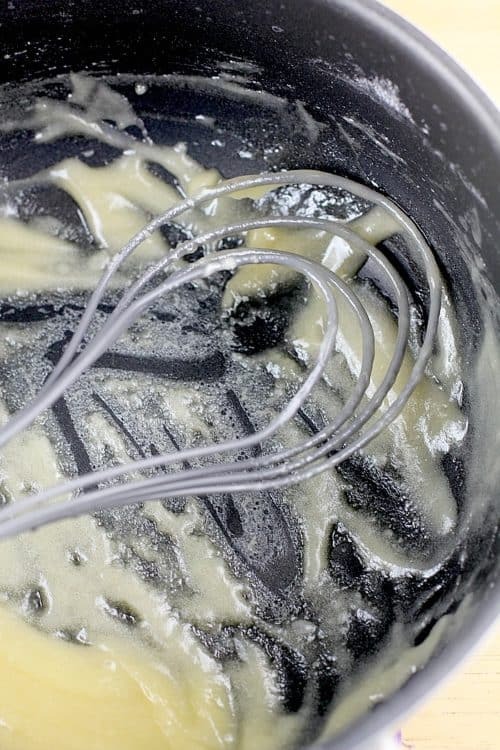 In a medium saucepan, heat the butter and flour over medium heat to make a roux. Let the flour cook in the butter for a minute, then add the garlic and cook another minute or until fragrant. Slowly add the milk, whisking constantly. Cook, stirring, until just slightly thickened (2-3 minutes; if mixture gets too thick, add a little more milk). Whisk in the salt, pepper, and Dijon. Taste for seasoning. Set aside. 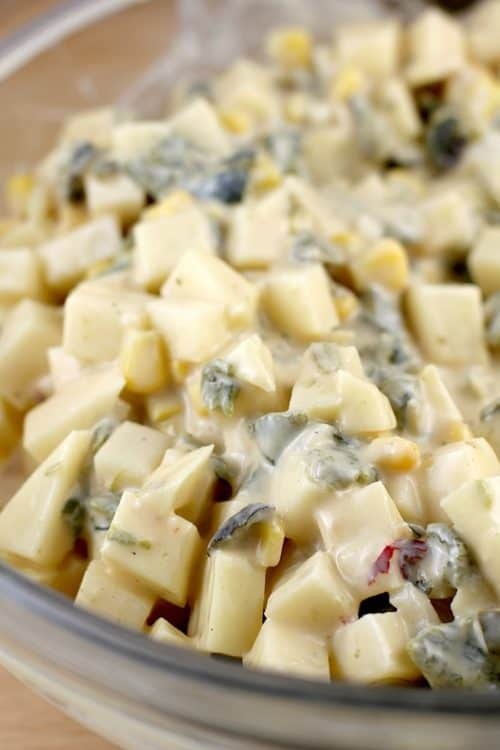 Combine the poblano pepper, corn, onion, potato, and white sauce. Transfer to a casserole dish. In a small bowl, combine the panko crumbs, olive oil, and a good pinch salt. 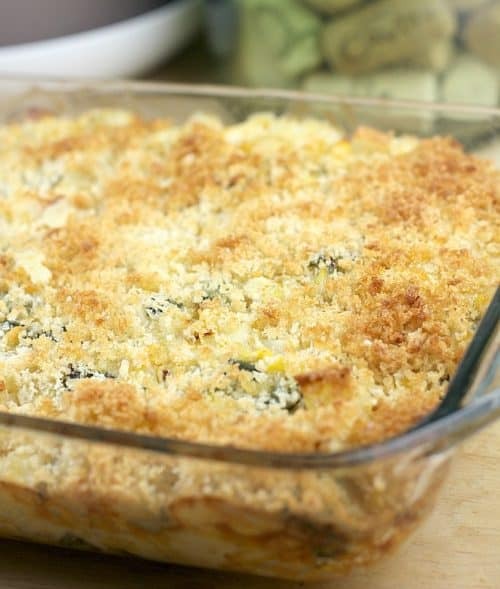 Top the gratin with the panko mixture. Bake at 400F for 30 minutes. Then cover tightly with foil and cook an additional 30 minutes until bubbly, saucey, and the potatoes are nice and soft. Yields 8 servings. Leave me a comment! What recipes would you love to see made dairy-free? This looks so good. I love scalloped potatoes. I really need to try to make these. Sounds like a good solid side dish! May have to try it! This sounds really good. We could definitely make this. What an awesome use of the Silk Protein and Nutmilk. This is a delicious recipe. I can see myself making this dish for my family and I. This sounds delicious. Great combination of flavors. I need to try this nutmilk. I have not seen it in the stores but now I need to look for it at Walmart next time I go. Yummmmm, this recipe was MADE for me. I can eat corn straight outta the can – that’s how much I love it. 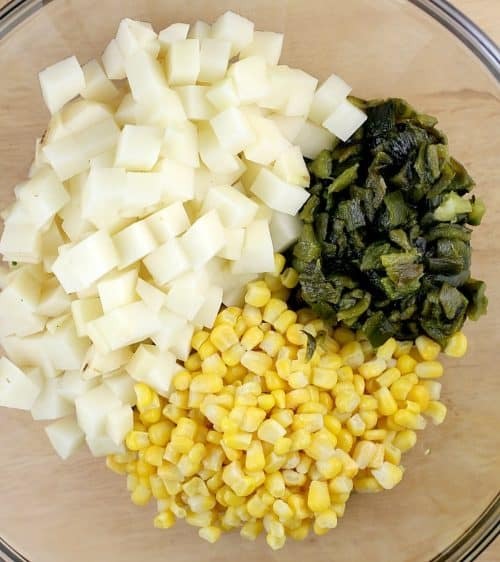 But paired with all these other ingredients makes for a really delicious looking meal! Love the idea of adding corn to a potato gratin, why have I never thought of that! On my to do list! Looks sooo good. I was happy to see a dairy free option. I am wondering about a gluten free option? Great take on scalloped potatoes! Love that this dish has both poblano and chipotle. I can imagine that flavour profile bursting in my mouth yum! I haven’t heard of this Silk 2g Sugar Protein & Nutmilk Almond Cashewmilk & Pea Protein yet. I’ll certainly be keeping an eye out for it. This dish looks so delicious! Perfect for me! This dish has so much flavor and I bet that crunchy topping really takes it over the top – comfort food deliciousness!